At 5ft x 4ft, this soccer goal is the perfect size for giving youngsters a flavor of competitive action. 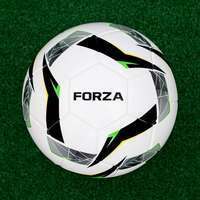 Suitable for use in under 7 matches and tournaments, this top quality soccer goal offers professionalism in abundance. Its PVC frame means it can pull double duty as a backyard goal. 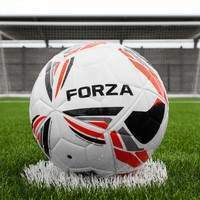 As the target of countless goal-bound strikes, it's imperative that your soccer goal can stand strong all match long. 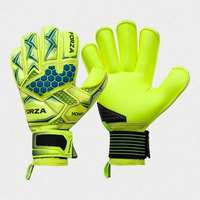 The essential locking system keeps the frame held together as it absorbs the impact of powerful shots. For added security, the goal also has an enhanced back profile. The setting up process of this 5 x 4 soccer goal is a breeze, taking minutes from beginning to end. 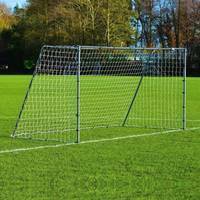 Get the under 7's action underway with this low-maintenance soccer goal. 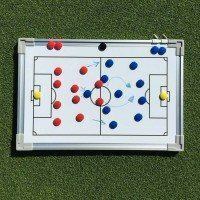 Post-match, the weatherproof kids goal can be left fully assembled outside without becoming damaged. Youngsters under the age of 7 can savor their first taste of the beautiful game with this 5ft x 4ft soccer goal. 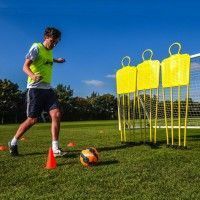 Tailored specifically towards kids with big soccer dreams, this starter soccer goal can be used for matchdays and tournaments as well as practice sessions in the backyard. 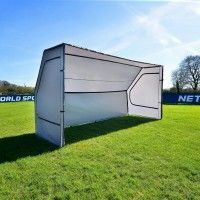 Designed to provide the platform for a lifelong love of the sport, this small soccer goal is a real smash hit with junior soccer coaches as well as players. 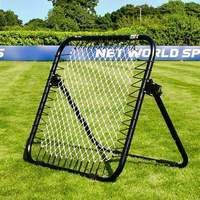 Add a touch of MLS flair to junior games with this long-lasting and high performing PVC soccer goal for kids. The hard-wearing frame of this soccer goal matches the limitless energy and eagerness of soccer-enthused youngsters. 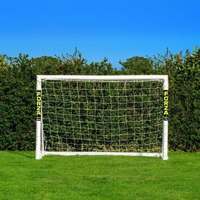 Harnessed from super strong PVC, the goal posts boast strength which belies their humble size. The weatherproof soccer goal is equally adept at performing during under 7’s summer tournaments as it is during winter training sessions. 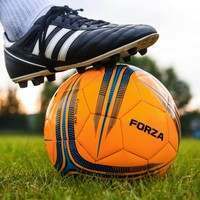 No need for your kids’ soccer passions to be dampened by the elements, as the top-quality junior soccer goal can be left assembled in all conditions without incurring corrosion and rust. 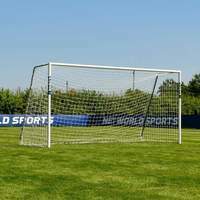 The lightweight and freestanding soccer goal takes minutes to set up, allowing youngsters to make the most of the time they spend sending rockets into the back of the net. 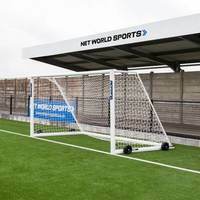 The PVC goal posts simply slot in together, held rigidly by the essential locking system. 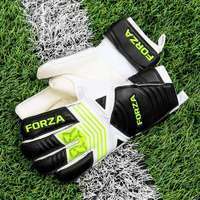 This feature keeps the kids soccer goal secure under a barrage of top-corner seeking missiles, while the top runback further increases stability. 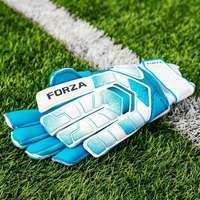 With durability and security to mirror the sleek and high-quality design, this is the best soccer goal for under 7’s on offer. 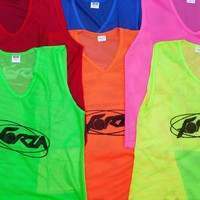 With no time to waste, the youthful exuberance of your under 7’s will have them itching to kick off immediately. 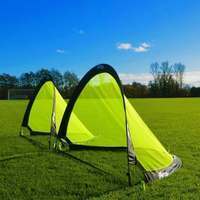 This soccer goal includes everything you need to get the ball rolling, lining up with an all-weather goal net, clips and u-pegs. 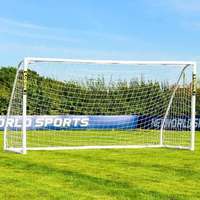 Finished with a classy white, the UV stabilized HDPE soccer net will have your youngsters feeling as though they’re slotting away a World Cup winner every time they hit the back of the net. 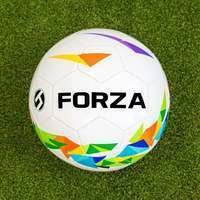 This 5 x 4 soccer goal is the best way to pass the beautiful game on to the next generation.